Latin: Pater, Ancient Greek: πατήρ (patēr), and Sanskrit: पितृ (pitṛ). The first known record of the word “dad” was around the year 1500. Scholars suggest that the origin of the word “dad” actually comes from the first noises that kids make. “Dad” or “Dada” also sounds similar in many different languages and consists of two similar sounding consonants. No matter how you greet your father on Fathers Day, Ginger wishes you both a good one! Enjoy our Fathers Day discount on Ginger Software! English is the most complex and vocabulary-rich language in the world. As of January 2012, there over 1 million words in use and a new word is added to the English language every 98 minutes! English incorporates many words and grammatical rules from other languages which makes it even more complicated. How do we use language? Naturally, with so many influences and new additions, there tend to be disagreements on how language is used. Below are three disagreements over style. Back in 2011, this question was in the news due to two giants in the writing business: the Associated Press and the New York Times. To hyphenate or not to hyphenate? The AP Stylebook removed the hyphen since they thought it was only needed to explain that email meant “electronic mail” in the early days of the internet where new concepts needed clarification. Grammatically speaking, it is acceptable to start a sentence with “and” or “but.” The problem with starting your sentence with one of these conjunctions is that your writing will often come off as informal. Instead, you can replace “and” with “in addition” and replace “but” with “however” to sound more professional. Until recently, both “hanged” and “hung” were used as the past participle of hang. 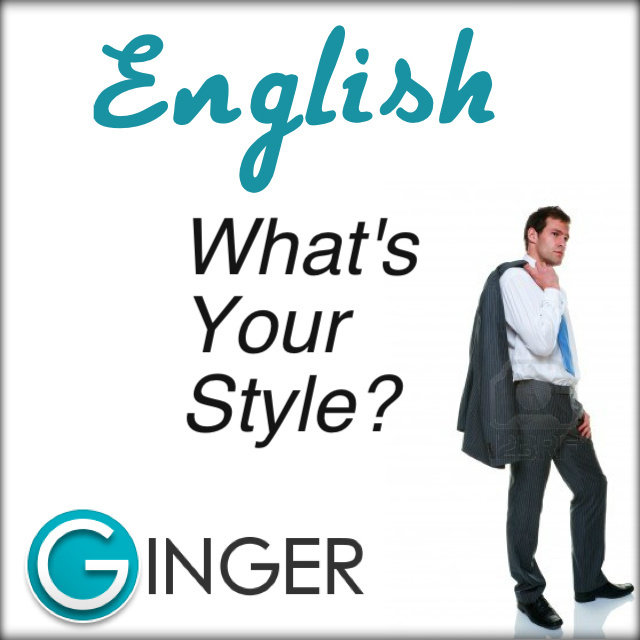 Do you have other examples of style differences in English? Writing an article might look like an Achilles heel, but indeed, it is not. It only requires a set of guidance and some tips to follow. Some writer keeps a focus on composing such an article, which is fully loaded with complex information. However, an over-complicated article lacks readability. Hence, the concept of a successful article is that it should contain a well-researched piece of information, but should also contain such terminologies or concept, which is easy-to-comprehend. Your article should be well organized and well formatted. In this blog, I have summarized some major tips to guide you write a compelling and useful article. Read on and treat yourself with fruitful information. When beginning with the article you should focus on the subject of your topic. Do not add irrelevant information in your content. Try to stick to the topic. Do research and jot down the major points. It is best to consult most reliable sources for extracting information. To end up composing a well-organized article the secret is to create a draft of your work. In that draft, organize your material using bullets, paragraphs, and pointers. Moreover, each part should be written according to their requirements. Like the most famous saying goes, “A picture worth a thousand words’ the power of adding a simple image is countless. Similarly, you can add compelling videos in it too. Incorporate short and informative videos. If your work discusses certain procedures, then demonstrate them using a video or in a pictorial form. However, remember not to add a cooking video in the middle of a technological article. Be relevant! Never get afraid of using different fonts. What people mostly do is they first scan the content. They read major headings. Their eyes skim to catch key elements of the content. Therefore, to feed their curiosity, you can organize your work using various font styles. Use fonts like bold and italic to emphasize particular ideas or to stress a point. If you are about to explain a complicated term or aspect of your information, you can write it using bold fonts to capture attention instantly. Similarly, using italic fonts, you can differentiate between quotation, names of sources and the rest of the text. Well, subheadings, taglines, and bullets serve to be an important part of the formatting. You must format your article correctly and professionally to make sure that it delivers the right information in the right way. Incorporate sub headings in it. Subheadings actually rock. Break down your content add interactive headings and taglines. In each subheading, you can go as long as 6-7 lines or as short as 3-4 lines. If you want your readers to continue moving forward with your writings, you need to put in some extra efforts in organizing your work. Say no to the use of filler content. Be precise and genuine. Do not fool your audience. A single information is available on multiple platforms, so one cannot just simply add irrelevant information and plan to succeed. You will fall flat if you do so. Hence, be real and authentic. Pick information from such sources, which are reliable. Be sure about every single word or phrase you write. Do not blindly trust resources. Check for yourself and do extensive research on areas, which are unclear. Readers nowadays act like a moth to a flame. They want the content to be scannable and readable. Therefore, you should focus on some key elements to save yourself from fluttering on the ground with broken wings and ending up in the cat’s tummy. Write according to the plot you created. The first thing to remember is listing down important features. Organize your information dividing it into categories. Every area should talk about the particular aspect of information. Some of the aspects should have detailed explanation while the other should be written precisely. Present your article in a way that it compels a reader to go through the entire content. One should enjoy reading it rather than passing the time skimming it frivolously. Authenticity matters to most readers. Therefore, you should add the citation at the end of your article. Citation is the process of adding references to the material present in your content. It adds credibility to a document. By doing the citation, you gave an opportunity to your reader to consult the main source for having detailed information and you make your document trustable. The citation will highlight the level of research you did on your subject. Moreover, it will make you able to justify your ideas and quoted concepts. The citation is mostly used when a writer uses quotations, incorporate ideas that were put forward by some other authors, decides to paraphrase a piece of content, or directly refer to somebody’s work. The most important part of writing an article is revising its content to eliminate any mistake. To make your document error-free you can seek help from an advanced grammar tool- Ginger software. Go through the content twice and scrutinize every single mistake. When you find yourself bogged up with technical and tedious looking article, you should blend these tips to format your work according to the requirement of modern search engines. Add a friendly reminder while drawing towards the end. In the conclusion, do not forget to add important parts of your research. Give them a summary, while providing them with a helpful advice or suggestion. Be interactive and friendly. For citing your sources, you can use an Oxford citation generator for more authentic results. Moreover, keep in mind these basic six formulas to mark your presence on every modern browser and to be able to receive maximum traffic. See how your little piece of brilliance will do wonders with the formatting tips mentioned above. Dominic Lester is a Master’s degree holder in the University of the Westminster. He is a professional blogger and article writer who loves to write on different niches, especially the English as a language. He also provides his writing services to the academic writing companies which give essay help to those students who struggle with writing their own assignments. The English language is one of the most popular studied language. English is one of the most popular languages in the world. Contemporary communication relies on an effective development an understanding of language. Moreover, it requires extensive knowledge of grammar and vocabulary mastery which is crucial in developing the significant meaning of sentences. The English language reflects significant centuries of growth and development. The political and social events have similarly had substantial effects on English. English is spoken in many countries and used for communication in significant parts of the world. Therefore, the language is one of the vital elements of communication to many communities. It provides a medium through which English speakers can communicate. The vocabulary incorporated used in any speech rely on good English background. Grammar shapes language in every aspect due to the need of speakers to provide the meaning of words and structure sentences. The teaching of grammar occurs at different levels of learning institutions. Grammar learning improves communication between educators and students. It also creates a commendable pre-written research papers through proper grammar and the correct language use. However, it requires a stepwise process that allows students to master the essential vocabulary and grammar at the elementary level before proceeding to higher learning institutions. Students also have an opportunity to learn English grammar online step by step. The first step of learning grammar requires a student to differentiate parts of a sentence. Understanding the eight elements of grammar further defines a sentence and grammar. Examples include the nouns, adverbs, pronouns, adjectives, conjunctions, preposition, and interjections. The next step is to break down a sentence into structures. The process can be achieved by developing meanings for all word categories and putting them together to make up a sentence. Therefore, a sentence consists of a package of words combined to express a particular thought. Consequently, a subject and a verb must be identified in a group of words to qualify as a complete sentence. For example, the process can further be explained as having someone doing something. Learning phrases is also a crucial step which requires English users to master units of language and regularly apply them in sentences. However, they function as a single unit when used in a sentence. Most of them work as verb phrases. It enhances and defines different verbs and nouns thus creating an understanding of what the sentence explains through a combination of different words. Learning about clauses also improves grammar. A clause contains a subject and a verb. The formation of sentences occurs through an independent or dependent clause. Independent clause plays a crucial role in acting as a single part of speech. The next step involves the sentence diagrams which are a primary method of learning grammar. It uses pictures to enhance mastery and understanding of sentence structures. It is one way of identifying whether written and spoken languages provide the required meanings of a sentence. It enables the speakers and listeners to understand different forms of sentences. English Grammar plays a vital role in the understanding of different words in English and other languages. It forms a style that makes it possible for people to talk by defining various steps required to create meaningful sentences such as grouping of words. Therefore, grammar offers an opportunity to express diverse opinions. Although associated with errors and accuracy, it provides a chance to develop a precise and accurate understanding of the English language. Understanding the English grammatical patterns is crucial in developing literature discussions that enhance knowledge between students and their teachers. It results in easy learning and understanding of vocabulary and the proper uses in a different set of sentences. Grammar enables the formation of sentence structure creates an accurate interpretation of literature. Thus, it is a crucial skill when students are required to accomplish creative assignment and compositions. Besides, it promotes precise communication methods among English speakers. Grammar is essential for any form of communication. Therefore, developing a deeper understanding of grammar provides a better opportunity for a person to start learning English grammar. Through the appropriate understanding of grammar, a reader can understand the nature of the English language. Therefore, it enables them to establish different grounds for linguistic prejudices and address different language issues affecting the public thus enhancing the state of the English language. The process also provides an opportunity for the users to apply appropriate words and clauses in the right sentences. The process on how to use grammar offers the chance to analyze literature with the aim of establishing the significant ideas of the authors. Therefore, it provides an opportunity to express the meaning of words to other people. The step is vital since it enhances social relations where people communicate and creates an understanding especially when faced when conflicts. By understanding how language works, student and readers are often provided with an opportunity to make decisions on the correct usage of words. Furthermore, it provides readers with analysis options required to develop the precise meaning of written work. It also enables the speakers to eliminate grammatical errors in sentences thus providing clear communication. However, grammatical understanding of words varies based on the background used develops the language skills. Social media isn’t really “new.” While it has only recently become part of mainstream culture and the business world, people have been using digital media for networking, socializing and information gathering for over 30 years. From the Phone Phreaking (1950’s till Early 90’s), the Bulletin Board Systems (BBS’s 1979-1995), Commercial Online Services (1979-2001), World Wide Web (1991), ICQ (1996) to Torrents and Social Media Sharing (for example: Napster, 1999). Regardless of how you define social media, one thing is for certain, social media has become an integral part of life, and it will continue to evolve and expand. It has revolutionized and changed the way our generation is defined. These days you can get your daily dose of news, posts, vines and videos straight from the palm of your hand, everywhere you are through your social media. And it doesn’t end there, as it will become more integrated into both our business and personal lives as technology continues to make our devices smaller and ever-present. If social media started as a tool to share information, today it’s mainly used for keeping up with what our friends are up to, even if they’re on the other side of the world. It has also played a big part in world events, for example, people use Twitter’s platform in order to organize protests and report events. But, let’s be honest, today most of us use Twitter to keep up with what our favorite celebrity is up to. No doubt, the power of social media is exponential. Today there are 1.3 billion active Facebook users, Twitter has 270 million active users that send 500 million tweets per day. And each day, 4 billion videos are viewed on YouTube (that’s 46,296 per second) and 60 million photos are uploaded on Instagram. What’s around the corner? No one can say for sure, but this is surely just the beginning of the Social Media Era.